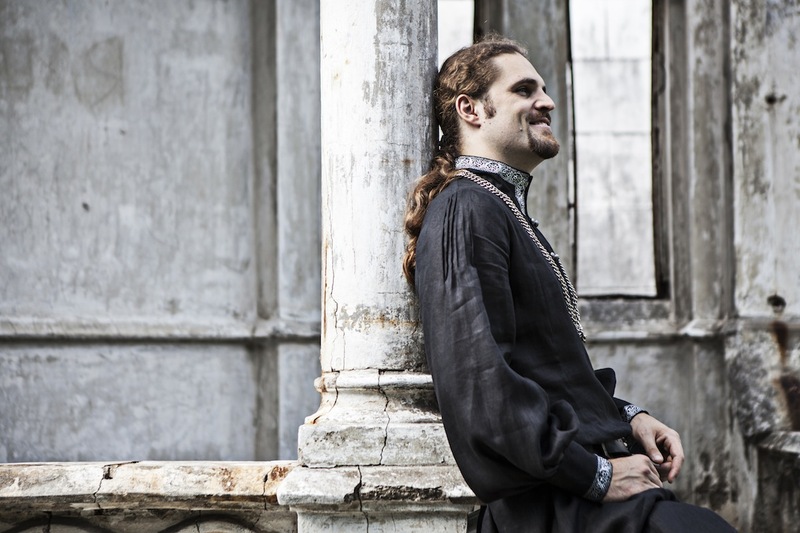 This long tunic is designed in accordance to the style of the specified historical period. 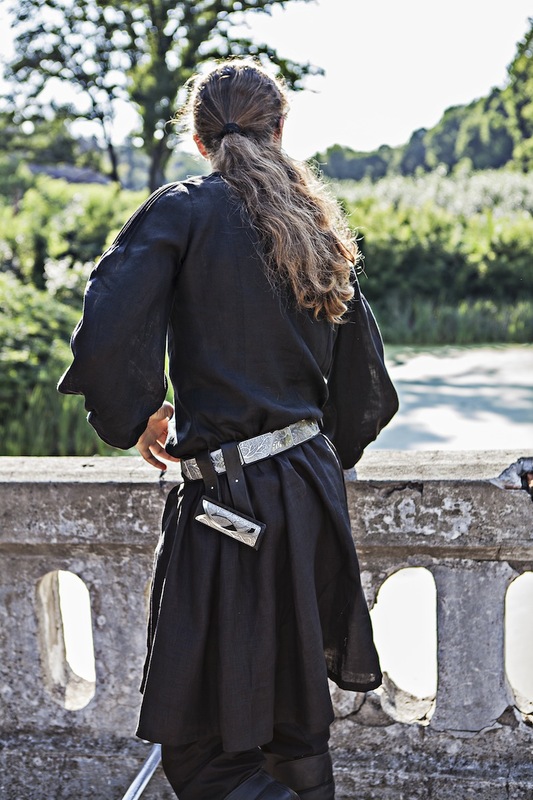 That garb can be used both as a single item and as a part of the set: you can combine it with cloak or overcoat. The item can be an evident illustration of "tragic slavic soul" character, great costume for warrior who's lost his household, his family and his hope, but still is proud, strong and... alone. 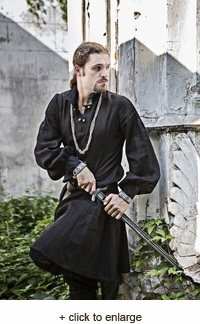 The tunic is made of 100% natural flax linen with silver or gold trim and two small clasps. 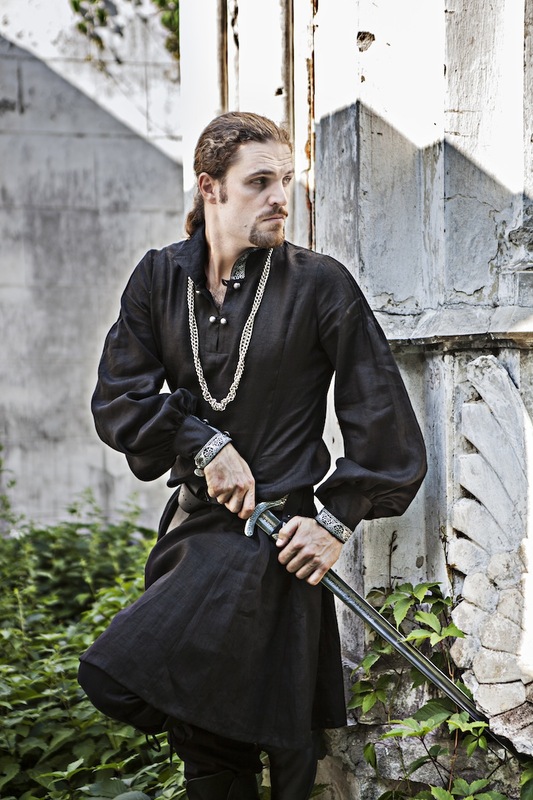 This is the re-edition of our "Eastern noble warrior costume" tunic made of thin flax linen - light authentic fabric which is great for summer. 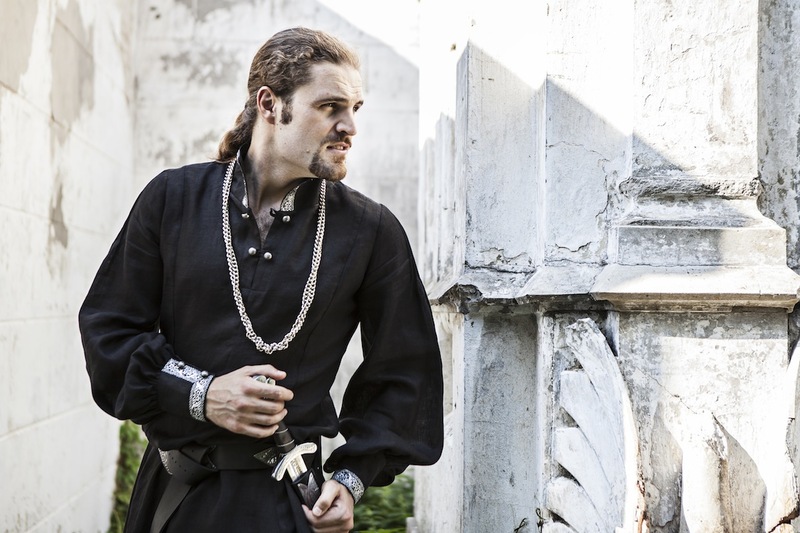 This listing is for Medieval Eastern Europe tunic only.